Allison has been very curious about her heritage lately. Always asking about where we came from, trying to memorize which family member descended from which country. I think it's fascinating to her because we really are a mixed bag in our house. Irish, Italian, English, and Native American all flow through our veins, and she loves comparing that with her friends. When she first started asking about our heritage, I started reflecting on long lost family members, and I always go back to thinking about my paternal grandmother. It makes me sad because she passed before I was born, but when I hear stories about her, I think I must be very much like her. My grandma loved cooking for her family, much like I do, so when my mom came across one of her old (and I mean OLD!) cookbooks, she passed it to me because she knew that I would love to have something of grandma's that would remind me of how similar we are. Even though the book is super fragile from her years of use and from years of storage, I love flipping through the delicate pages, seeing notations in my grandma's handwriting, but best of all, finding her favorite recipes handwritten and tucked between some of the pages. Even though I never got to meet grandma, these treasures make me feel very connected to her. One thing that I really love about the book and handwritten recipes is that they are all simple. You won't find any complicated, Julia Child type recipes here. Just good old fashioned, no-fuss recipes that my family loves. Simplicity is key when preparing meals for my family, and I love that Ragú Pasta Sauce helps me make a homestyle meal that is easy, yet hearty and delicious. 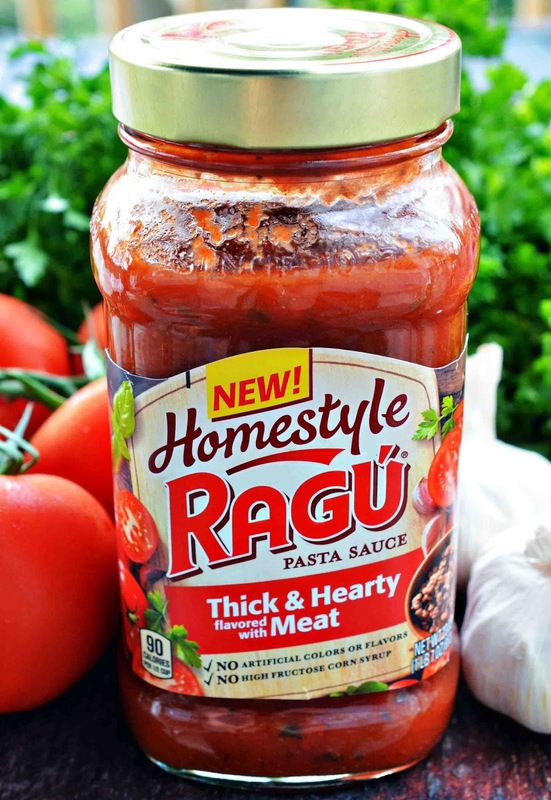 Ragú Homestyle packs a lot of flavor in each jar and is their thickest pasta sauce yet. You can tell because it hugs each pasta noodle perfectly! Each ingredient is peeled, chopped, and simmered with a special blend of herbs to build a bold flavored sauce. You won't find any artificial flavors, artificial colors or high-fructose corn syrup in this sauce. Ragú takes no shortcuts when it comes to making these delicious homestyle sauces. 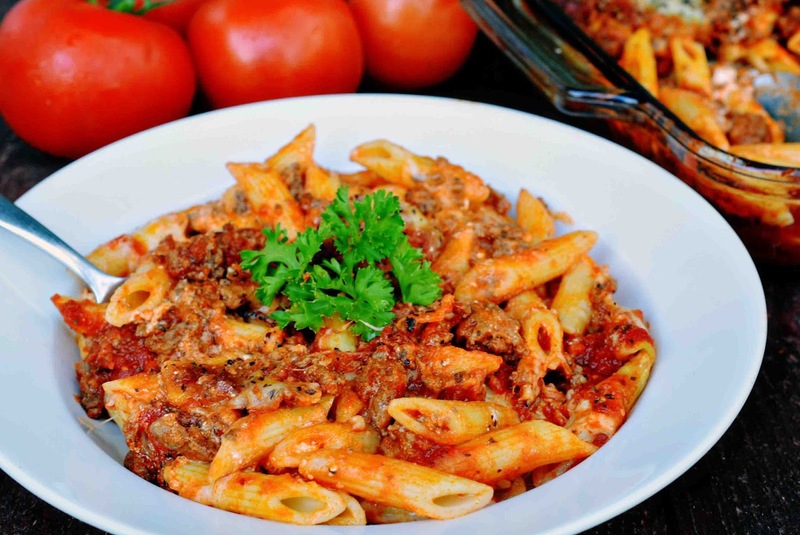 One of my favorite ways to use Ragú Pasta Sauce is in my Baked Penne Rigate. I like this recipe because it's really easy, very tasty, and the 4 of us can eat it two nights in a row, making it an inexpensive meal as well. Brown beef over medium heat; drain and add Ragú Homestyle Sauce and simmer 15 minutes. Lightly grease a 2 quart baking dish. Place 1/2 the pasta in dish; top with 6 provolone and 6 mozzarella slices. Spread half the meat sauce mixture over the noodles. Spread a thin layer of sour cream over meat sauce. Repeat pasta, meat, cheese and sauce layers; finish by topping with the Parmesan and basil. Bake 30 minutes or until cheese is melted and sauce is bubbly. Serve. Ragú Homestyle Pasta Sauces are currently available in most major supermarkets. Be sure to check out the many Ragú Pasta Sauce Recipes on the Ragú website and start making your own homestyle dinners today! 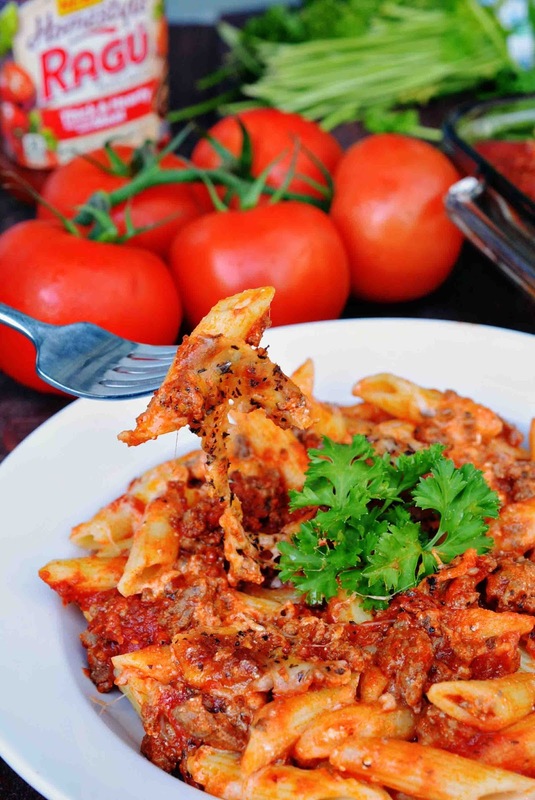 Want the chance to try Ragú Homestyle Pasta Sauce for yourself? I am giving one lucky winner $10 PayPal to try their favorite Ragú Homestyle Sauce. Enter through 5/31. Simply leave me a blog post comment telling me which Ragú Pasta Sauce Recipe from the recipe tab you would love to try. Be sure to leave me your email address so I can contact you if you are the winner! I am giving one additional entry if you follow me on Pinterest (link on my sidebar). Just tell me what name you are following with. I assigned everyone who commented with their entry a number and used random.org. #35 was chosen. How did you get so unlucky to have 2 grannies who didn't know how to cook? I can see 1, but 2? That's complete rubbish! You come here and you can borrow my mom and mother in law, who will make you an honorary grandson and whip you up some savory dishes that will make you forget about getting stuck with crummy grannies. Maybe that's why you learned how to make such yummy recipes for yourself. Sometimes we just need to right the wrongs that have been done to us by learning how to do it ourselves. I would like to try the Homemade Pizza recipe. That homemade pizza does sound divine! The cat is out when it comes to such food haha I'm a mutt though, have like 6 things in me. Nothing wrong with a little repetition, right? I am LOVING the sound of this dish!!! Cant wait to try it out! Thank you Angela :) I can't wait to try yours as well! I would like to try the Tuscan Style Sausage Sandwiches! Your dish looks so yummy too. 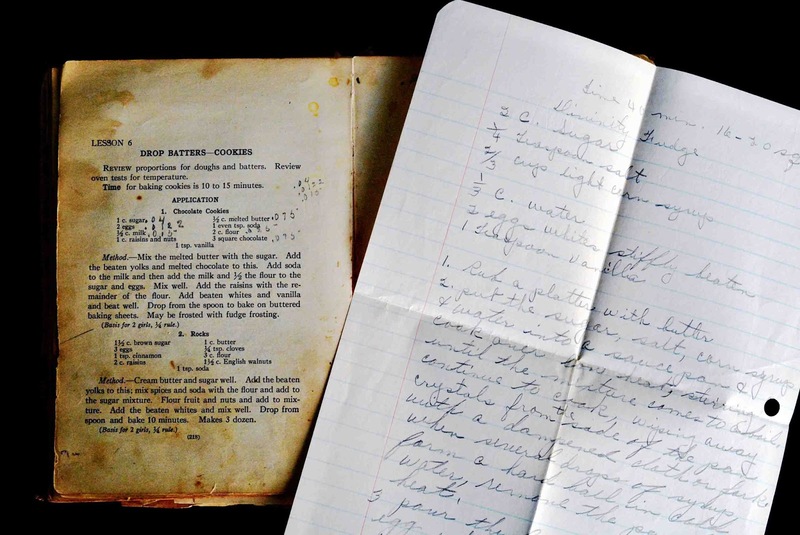 I love those old recipes from my mom and grandma that are handwritten and stained with use. I love that you got out these old cookbooks as you and your daughter were discussing your heritage! My family's a mixed bag, too, and whenever I see my grandmother's handwriting on a recipe, it makes me so happy and takes me back to a time when I was younger and she was still around. What a fun thing to be able to share with your children! And I'm loving the sound of this Baked Penne Rigate. What a simple and delicious weeknight meal to whip up for the entire family! It really is the simple things like an old cookbook that bring back the best memories. I am glad you have such great memories spending time with your grandma! 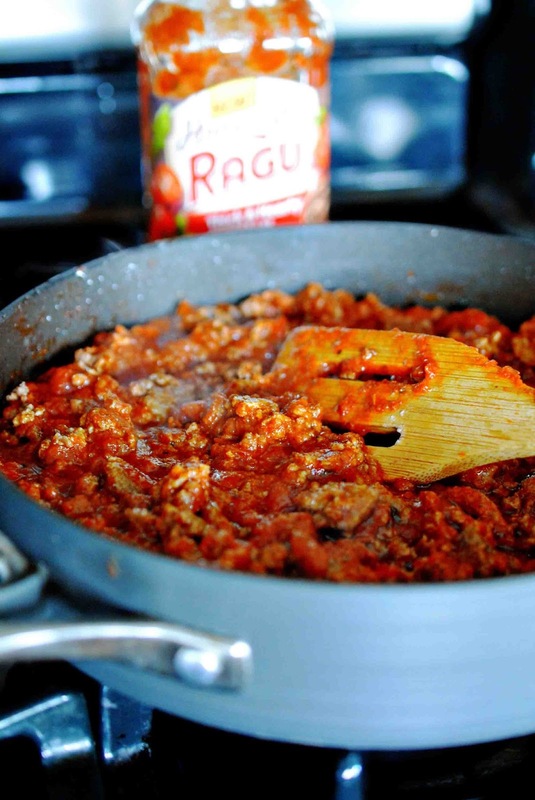 We love Ragu better than most other sauce brands. That homemade pizza does look delish! I am thinking we are going to try that for lunch during summer vacation. The girls would have fun helping to whip that up! I want to try the Chicken & Broccoli Alfredo with Fettuccine recipe. I love using Ragu sauce for an easy weeknight meal. I need to pick up these homestyle sauces. Yummy! I love Italian food and a good hearty sauce can definitely make or break a dish. I would love to try the MAMA’S BEST EVER SPAGHETTI & MEATBALLS recipe from their site! I may have to try that flavor of Ragu. The guys would like it a lot! The penne looks great! I have a tough time deciding on just one, but I would probably go with the Italian Meatloaf first to try if I won. Ragu's a mainstay in our kitchen when it comes to some pasta creation but I have to admit, I lack variations and recipes. Glad I ran into this one here! Half an hour isn't so bad considering that I'll get a tasty meal with it. 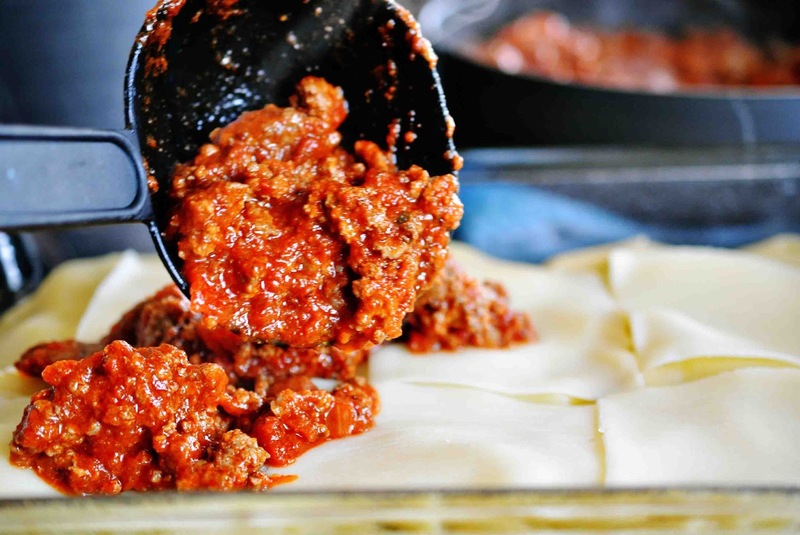 Literally seeing that Ragu pour over the pasta made me instantly hungry! This is a great shot I want pasta for dinner tomorrow now! I'd like to try the Slow Cooker Beef with Rigatoni recipe. Thanks. I love using Ragu to start my sauce. This looks so delicious. I will have to give it a try. Ragu is really fantastic! We've tried it in different pasta dish too. I think we should try again for this one. I think I'd like to try the four cheese tortellini with tomatoes and basil from the recipe page. Thanks for hosting. I want to try the Homemade pizza because we love Pizza at our house! Ragu is really a fantastic brand, the taste is amazing! I was a brand ambassador for them awhile back and visited their location in NJ, what a great experience that was! I love this recipe! It's easy and sounds delish! Just look at that thick, yummy goodness! You are making me want some good pasta about right now. This recipe is looking really good! Yes, all I use is Ragu. They make the best sauce always fresh and delicious. Yum, thick and hearty sounds good! I would like to also try the Grilled Chicken Parmesan recipe! I love Italian food and simple, homemade recipes. This one looks delicious. Thank you for sharing. This recipe looks wicked yummy! I love the new Ragu Homestyle sauces too! Boy this looks good! I too have my Grandmother's recipes and cherish them. We keep recipes as well and pass it on to the next generation of moms in the family. We have cookbooks everywhere, which is always awesome because I don't just love cooking with my mom and my grandma, I enjoy learning from them too. This is definitely a must try! I'd love to try the CAPRESE FARFALLE, it's looks amazing! The grilled chicken parmesan sounds delicious! SPAGHETTI & TURKEY MEATBALLS Recipe sounds great! I would like to try the Spaghetti Puttanesca. I want to try the SHRIMP FRA DIAVOLO recipe. Sounds delicious! I want to try Homemade Pizza recipe because i love to eat pizza. They all look so wonderful! I especially want to try the Itailian Rustic Bowls. I would like to try the Italian Meatloaf recipe. I want to make the homemade pizza. I'm a pizza addict! I would like to try the Ragu Homestyle Thick and Hearty Traditional sauce. I'd like to try the Classic Alfredo Sauce. Thanks for the giveaway! I follow via Pinterest (GillisHills). I would like to try the grilled chicken parmesan recipe. Four Cheese Tortellini with Tomatoes and Basil looks good. I'd love to try the Homemade Pizza. I would love to try the Chicken & Broccoli Alfredo with Fettuccine. havn't tried but the thick n hearty w/ meat looks like its my forte! I would really love the chicken and broccoli for my family! It sounds creamy and delicious. Thank you so much for this! I would love to try the four cheese sauce! Yum!!! I want to try the CREAMY MOZZARELLA WHITE PIZZA YUM! The four cheese looks so good! The Creamy White Mozzarella Pizza looks great. I sorta like the TRADITIONAL PIZZA but without the meat. Like plain cheese pizzas only.The sauce is very important to get the right one. I would try the Roasted Garlic Ragu. I would like to try the Thick & Heary Traditional Sauce. CAPRESE FARFALLE IS THE RECIPE I'D LOVE TO TRY! I love looking through cookbooks from my relatives! I wish I had my gram's cookbook! She was the most amazing cook! I wonder if someone in my family has it!!! We buy a lot of Ragu because our son is a fan of turkey meatballs at spaghetti for dinner. I'd love to try the Chicken Alfredo with Fettuccine! Looks so good! I'd try the Rustic Italian Bowls! I would like to try Sun-Dried Tomato & Tonno Orecchiette. The Mamas best spaghetti and meatball a sounds good! I'm a sucker for Homemade Pizza, and I even love olives on pizza! I'd love to try Four Cheese Tortellini with Tomatoes and Basil. I would like to try the SPICY VEGGIE QUESADILLAS recipe. Homemade pizza would be good. RUSTIC ITALIAN BOWLS would be a good one. I love pizza, too which is how I usually use Ragu. i would like to try the Four Cheese Tortellini with Tomatoes and Basil recipe. I want to try the Homemade Pizza recipe because we love pizza at our house! The homemade pizza sounds good. The GRILLED CHICKEN PARMESAN recipe looks simple and delicious. Forgot to leave my email, sorry! I would love to try the Four Cheese Tortellini with Tomatoes and Basil. It sounds so delicious. I would love to try the Skillet Lasagna recipe. We would try their SPAGHETTI PUTTANESCA recipe ! I just have to try the Homemade Pizza recipe. I used to make my own but I've gotten out of the habit. I follow on Pinterest as bettycurr.